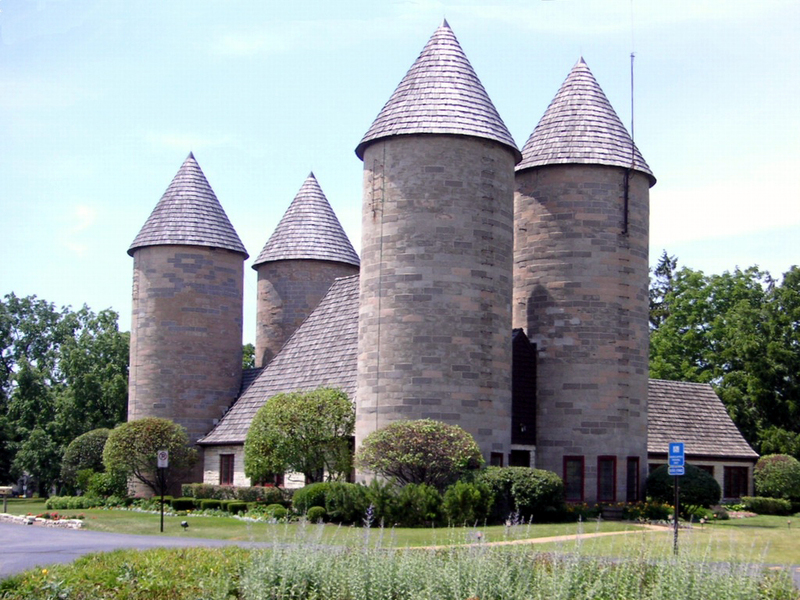 Yup, Four Silos, once part of Thomas Wilson’s farm in Inverness, IL, now the Village Hall. Fortunately there is no Facebook logo slapped across it. By Neva O’Laughlin via Wikimedia Commons.